Colds and flu are caused by an invasion of microorganisms that upset the natural balance of a healthy body. All biological forms have food value and our body is no exception. We are all occasionally attacked by a hungry hoard of bad microbes. Our immune system is a complex defense mechanism of many kinds of cells that fight the invasions of cold and flu bug attacks. 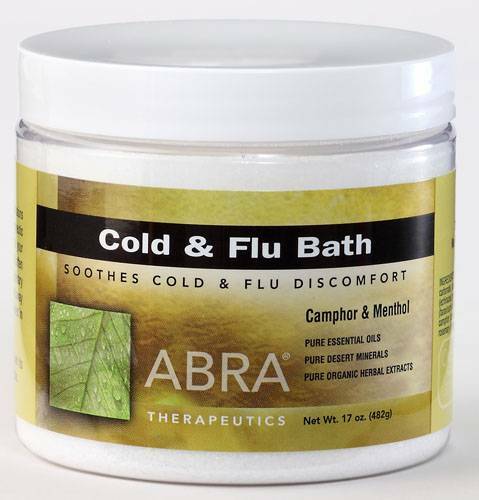 The Cold and Flu bath is made to help the immune system by eliminating the invaders through the skin. The skin performs a function known as virus shedding, where invading organisms can be shed from the body through the skin. This is one of the reasons for fever and sweating. The windows of the skin are opened and the invaders are, well, thrown out the window. The bath is ideally taken at the first sign of infection. For best results set the temperature at 100 degrees F. This temperature allows the blood to circulate through the organs and body core and into the skin. Shedding virus this way helps the immune system cells control the invasion and speed the recovery to health.